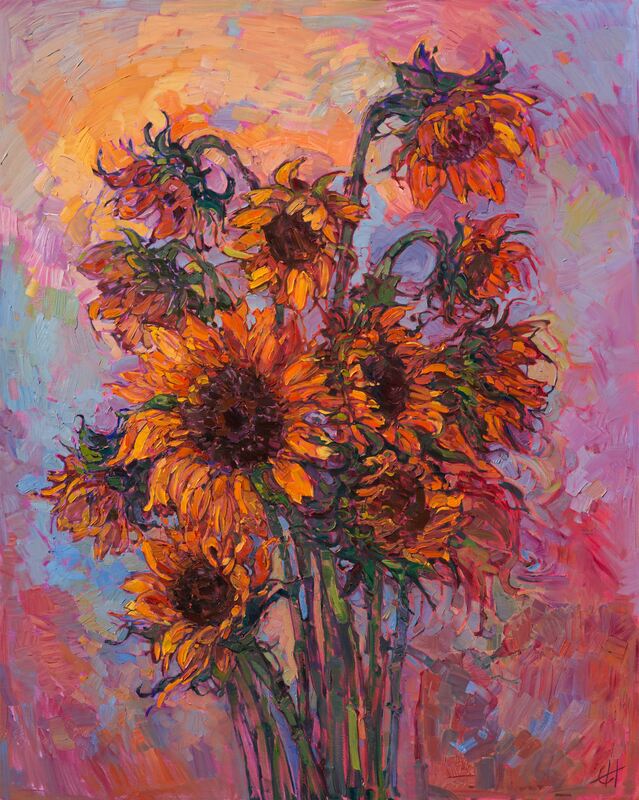 CALIFORNIA ARTIST Erin Hanson wanted a challenge. The answer was the color orange. 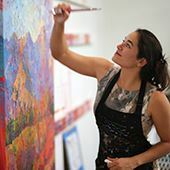 Hanson has been creating a painting a week for the last 10 years and says the practice has helped evolve her unique style, which she calls Open Impressionism. Recently, she was looking for a way to push that evolution even further. This resulted in her upcoming exhibition, The Orange Show, which features paintings that are predominately orange. "I picked what I consider to be the most challenging color because I don't want this to be easy," she says of the project. "I want this to force me to confront an area and a color I am not really comfortable with." Hanson says the focus on orange deviates from her comfort zone of purples and greens. 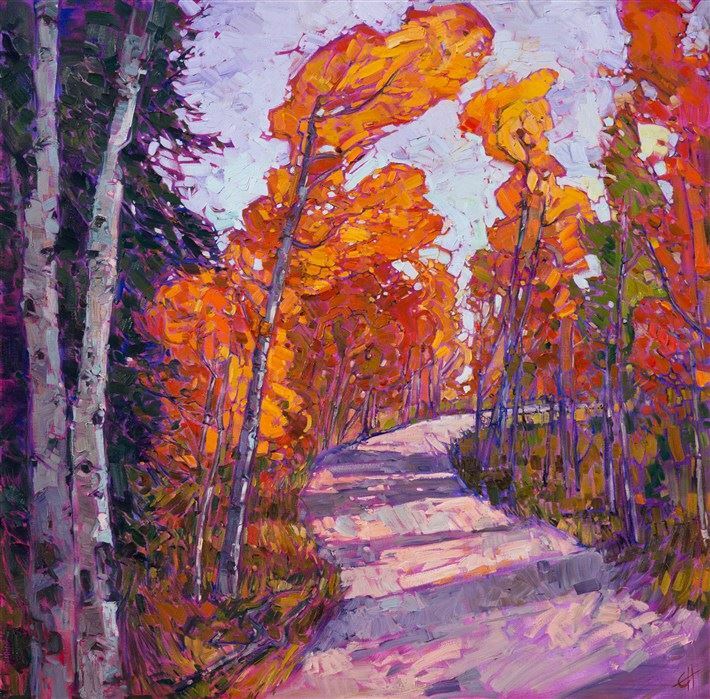 To prepare, she started visiting new places and hiking in different environments, including Colorado and Utah, where she photographed the aspens at their peak fall colors. She also visited places like Canyon De Chelly National Monument, where the rocks can be nothing but orange. 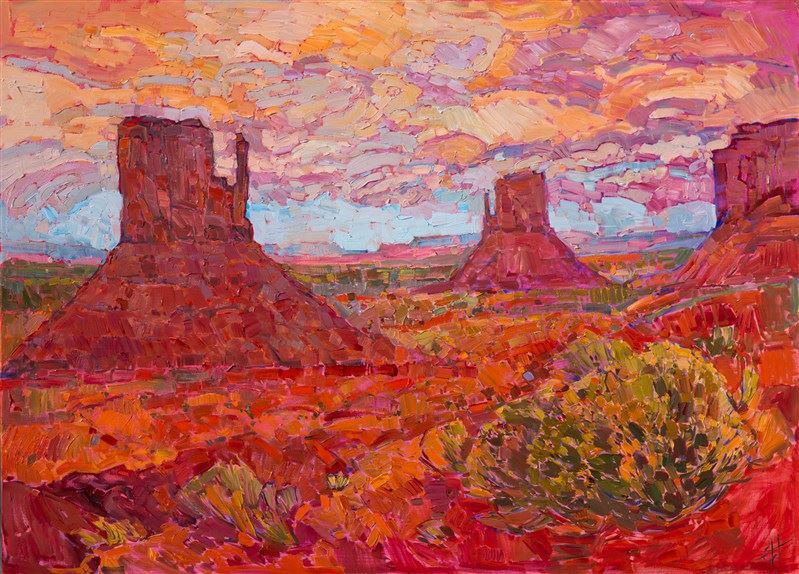 Hanson says her painting CRYSTAL DAWN (pictured right) is a perfect example of the works in the show, as well as the message she hopes visitors take away. 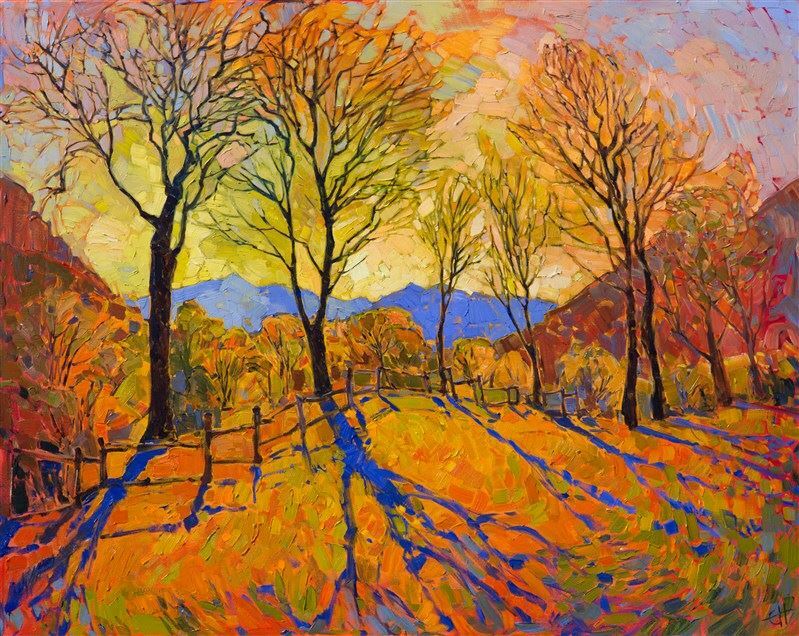 CRYSTAL DAWN depicts sparse trees against a vibrant background as the mountains of Zion National Park glow blue in the distance. Hanson says she created this image from the parking lot of the parks visitor center. But when she visited, the sky was gray and bleak. "The idea is to get people to look at the world differently and to brighten people's outlook and really make them see that they are on this beautiful planet," Hanson says. "Maybe they'll take a second look at these trees and realize that they really can be beautiful." Hanson says she is excited to see the paintings hanging together in her gallery, where the midnight-blue walls are sure to create a particularly special viewing experience. 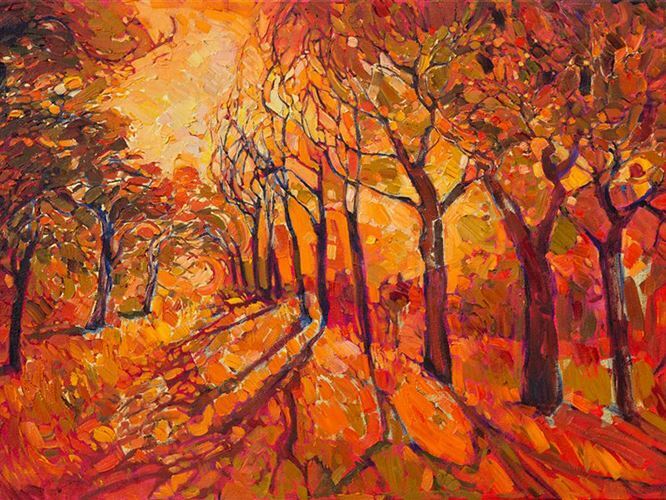 The Orange Show runs through the month of October, beginning with an orange-themed opening reception on October 1st from 5pm to 10pm. Southwest Art Magazine, Sept 2016.